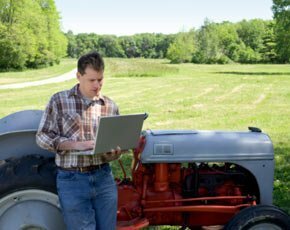 The Environment, Food and Rural Affairs (Efra) Select Committee has delivered its report on rural broadband, saying the 2Mbps universal service commitment undertaken by BDUK is not fast enough. Committee member Neil Parish, MP for Tiverton and Honiton in Devon, said access to broadband should now be considered a “fundamental right”, while chair Anne McIntosh, MP for Thirsk and Malton, said broadband was an essential part of everyday life. In light of this, the committee report said that 2Mbps was already an outdated figure for a number of services – it does not, for example, allow for streaming of HD video over BBC iPlayer – and recommended a minimum speed of 10Mbps. It also said that 24Mbps, the standard definition of superfast in the UK, will not be considered superfast by European, and possibly also US, standards by the end of the decade. Efra’s inquiry was, in part, prompted by the movement of Common Agricultural Policy (CAP) applications to an online-only model, meaning that many farmers in remote areas would struggle to access an often vital source of funding. It acknowledged the Rural Payments Agency (RPA) had done its utmost to ensure a soft landing, but given the parlous state of broadband access in many rural areas, reserved judgement on how effective the preparations have been. “The RPA must have a contingency plan in case the online-only CAP system proves difficult to use for farmers with limited broadband capability. “The new software has not yet been tested by the number of users who will access the site in May … and the contingency plan should be able to respond to the software not functioning at the level required, or with users not being able effectively to access the software,” it said. The report, which can be downloaded in full from the committee’s website, made a number of other recommendations. Among these was a call for BT to share more timely data with the local authorities and devolved bodies to enable them to better monitor take-up and get a clearer picture of BT’s plans. It had been argued that distributing information on a postcode basis – as is currently done – could be misleading. It also called for provisions going forward to ensure that local authorities and BT keep communities more up to date with planned coverage and speed, and said this should be delivered on a premise-by-premise basis as opposed to by postcode. It acknowledged that allocation between funding between urban and rural areas was still too unbalanced, with urban areas not only having wider access to superfast broadband through BT’s commercial roll-out, but access to vouchers through the Superconnected Cities scheme. “Those in poorly connected areas are sometimes asked to pay twice: once through their taxes for the government-funded BDUK programme, and potentially again from their own pockets if BDUK doesn’t reach them,” it said. In light of this, the committee called for the introduction of a voucher programme to help rural users cover the costs of the more expensive services that will be needed if BDUK is to hit the last 5%. BDUK CEO Chris Townsend, who gave evidence at the committee hearings in late 2014, said he still believed that the commitment to universal coverage of 2Mbps was the right one to make. “It is really all about rolling out broadband to rural areas as quickly as we can, and we are on schedule to do that,” he told Computer Weekly. BDUK is currently passing in excess of 40,000 premises per week as it heads towards the two million homes milestone.